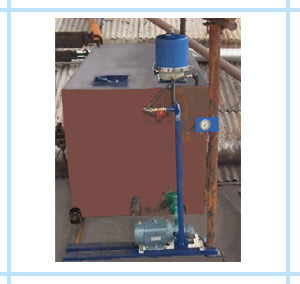 Centrifugal Oil Cleaner Operates on the Reaction Turbine Principle. Oil Enters the centrifuge Under Pressure and flows to the rotor thru hollow shaft. The Oil Pressure and flow is converted in rotational energy as the oil escapes through the jets, producing speed upto 6000 RPM.. Teh Resultant Centrifugal Force Removes dirt from teh Oil depositing it on teh Inner wall of rotor in a dense cake form. Clean Oil Drains Back By Gravity to the oil Tank. Impurities Cause Deposition in nozzles & Burners. Frequent Cleaning of Burners is required. This Results into inefficiency in Heat-Generation. Burning of impurities causes Excess smoke. This Results into Environmental and pollution issues. No Replacement Element , No Recurring Cost. Reduced Soot Formation in Heater / Boiler Tubes.